First I want to say that the casting of this movie was extremely well done, everyone nailed their roles. It was kind of crazy to see how well these artists portray and hit every stride of their characters. So I really appreciate them on that part because usually when we get a biopic that actors actually fit the roles and do it well. That was the main thing that I was concerned about, as I am with every single biopic. The next thing that impressed me was the fact that they operated pretty well inside of their 28 million dollar budget, the movie looked pretty great considering they had to get a lot of things retrofitted for the movie. So those two things out of the way, the movie visually looked great. I know a lot of people are mad because the movie didn't include Dr. Dre's well documented history of domestic violence. Personally I didn't care to see that in the movie seeing as how it didn't really fit into the mold of celebrating the accomplishments of the actual group. First and foremost I find it funny that people tried to bring this up as if we didn't know about this for years. Eminem even stated in song Guilty Conscience: "You gonna take advice from somebody who slapped Dee Barnes?" so it's always been there. Do I believe in domestic violence, hell no. But isn't there a whole purpose when a man is suppose to rehabilitate himself into a better person while encouraging others to be the same? I'm not getting into this, but majority of the crowd was well aware of what Dre did, and we still went to go see the movie, more power to those who didn't, I respect your decision. For me this movie was more so good because I learned way more than I did about Easy-E, he really made this movie, as he should have. I also learned about DJ Yella and his personality as well, but I knew about MC Ren & Ice Cube for the most part. I will say that I didn't know Cube wrote majority of the stuff that we heard were hits and what not. I think actually having the rappers have a significant hand in this movie and how it was made was an important part because it felt like the story was more authentic, even though we just knew Dre had his whole hand through this movie lol. All in all this movie was a good one and it was way better than I was expecting and it lived up to the hype that I had for it the moment I saw the trailer for it. 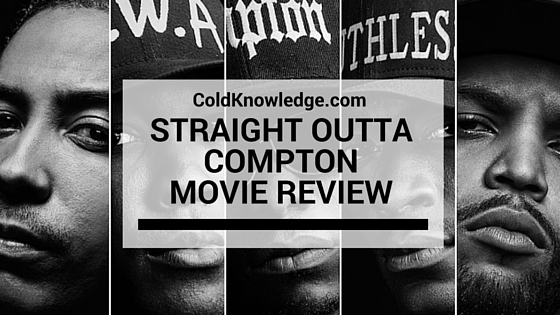 If you're into Rap and learning about the early stages of the era that made it take off, then this movie is for you. Have you seen this movie and if so what did you think of it? Leave it in the comments below.